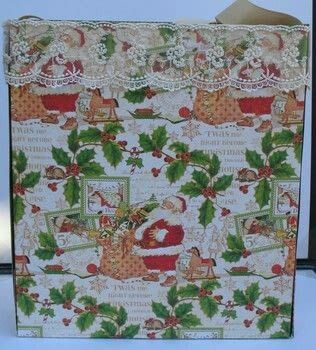 This is the second part of the Box Gift Bag Tutorial. This will show you how to finish putting it together and give you an idea of how to decorate it. 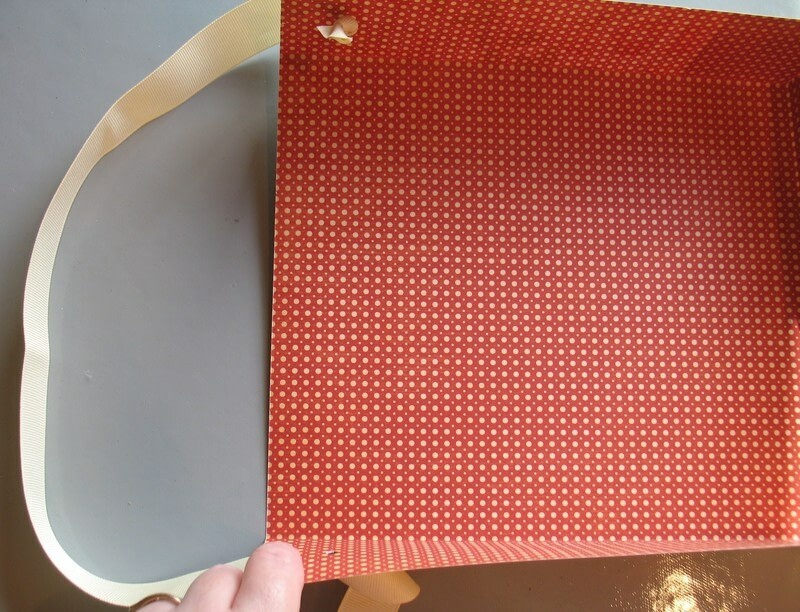 Once you have created the basic gift bag using the tutorial you will use the following steps to finish the bag. Slide the pieces together to make sure they fit snuggly and that the edges are matching. Add strips of adhesive to the bottom flap, and bottom sides. Do not secure the the top just yet. 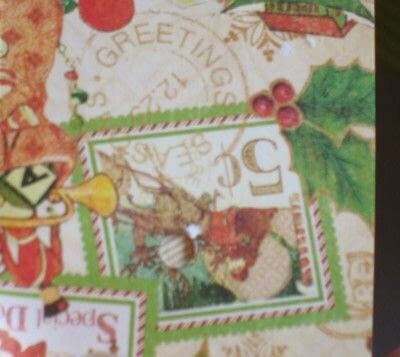 Use the hole punch to punch one hole in each side of the inside piece. Make sure that the holes are centered on both flaps. Thread one end of the ribbon through the first hole and tie a know. Trim the ribbon end if necessary. Run the ribbon to the other side and decide how long you will want to make the handle. Remember to leave enough ribbon to run through the hole and tie a knot. Now secure the top edges. Starting at one of the back corners on the side, run a line of glue near the top edge and adhere the ribbon. 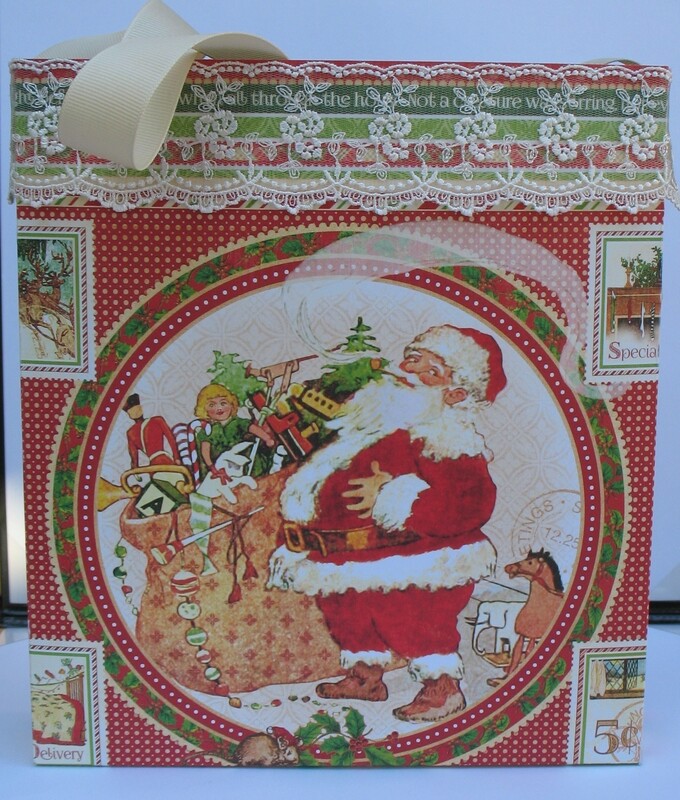 Continue all the way around the bag until the end meets where the ribbon was started and trim the excess off. For a different look, cut strips of paper and punch them using an edge punch of your choice and then adhere them around the top of the bag. 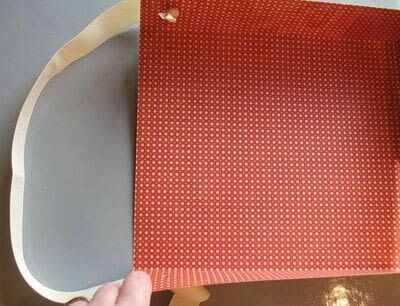 The next time, you want to use a handmade bag for that perfect gift don't worry about it not fitting. 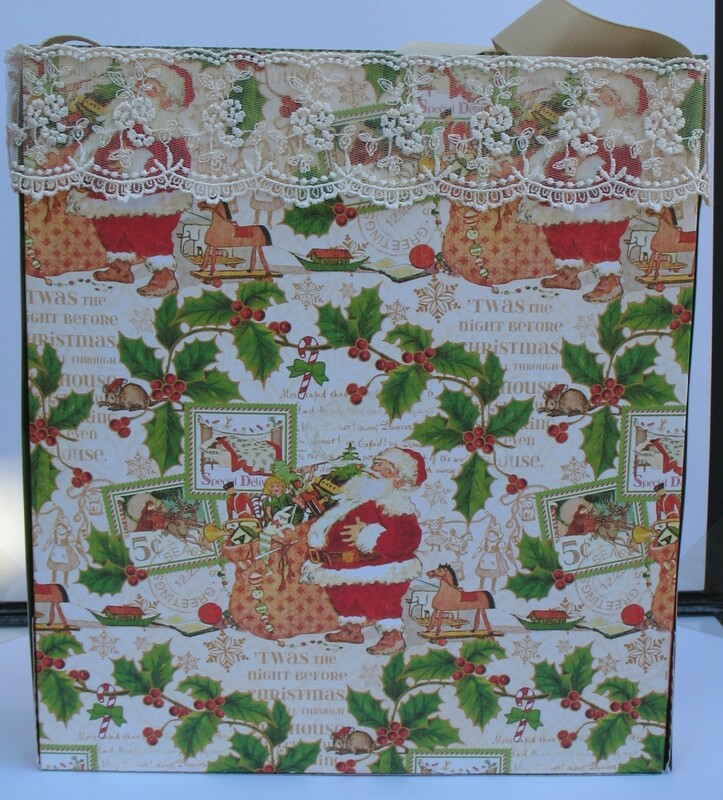 Create this decorative Box Gift Bag and make it a part of that perfect gift. 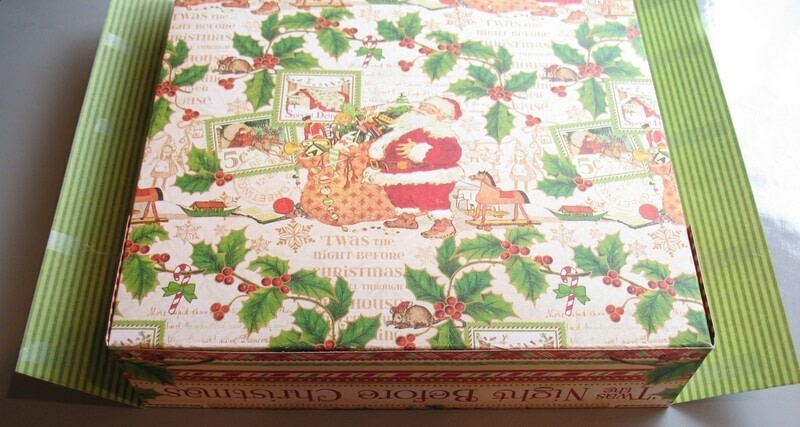 It's a great way to use those favorite sheets of paper without having to cut the awesome design, too!